We round up the latest Liverpool news and transfer rumours on Monday, following the crucial 2-1 victory at Fulham. The left-back also discusses a “massive week” for the Reds. A huge moment from the veteran at Craven Cottage. Not a decision that would go down well. The good, the bad & Salah’s milestone burden. A rare gift from Firmino as Mane hunts down Salah. “Powers of recovery” and “Klopp’s heavy mettle” reinforce title belief. Karius’ response and spoils shared as Kent & Millar go head-to-head. Virgil van Dijk made a rare error against Fulham, selling Alisson short with a header that led to former Liverpool man Ryan Babel equalising. Fortunately, the 27-year-old’s blushes were saved when James Milner scored a late winning penalty, taking the Reds top of the Premier League. “[Virgil] showed he’s also just a human who can make a mistake. It happens in football. Luckily they got a penalty. 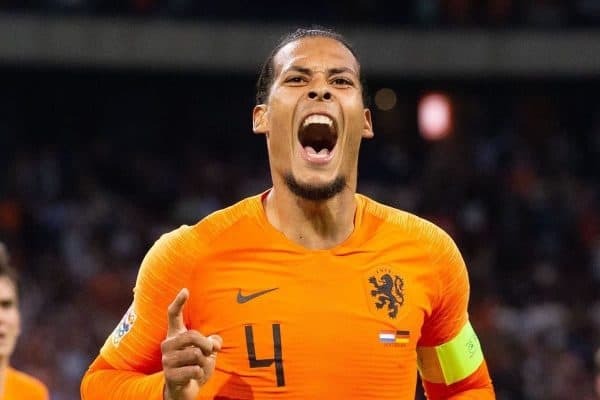 Van Dijk will lead out Holland in their two upcoming Euro 2020 qualifiers against Belarus (March 21) and Germany (March 24). 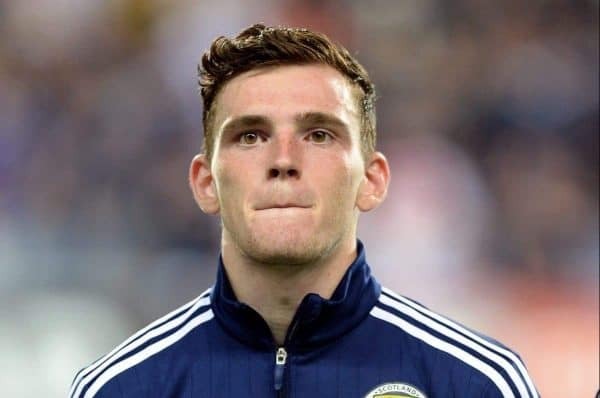 Andy Robertson is likely to miss Scotland’s clash with Kazakhstan on Thursday, due to requiring dental surgery on an abscess. “It’s a big blow. We were prepared for it obviously, before the game on Sunday we knew he was struggling a little bit but he wanted to play. “And the way he is, he is still desperate to play and still trying to get himself back out here as well. 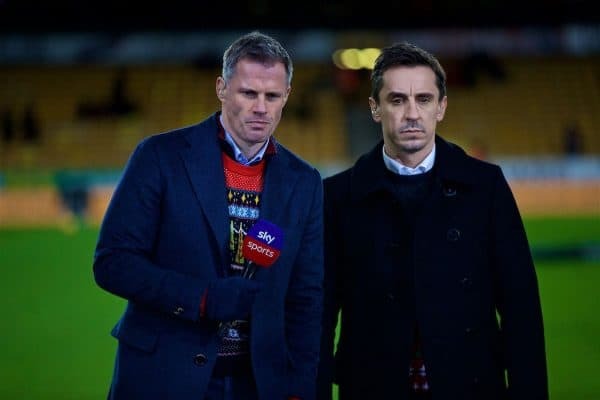 It’s not too often that Gary Neville says positive things about Liverpool, so we should make the most of it! “Manchester City’s game in hand is at Manchester United, at Old Trafford, on April 24. “There’s an opportunity for Liverpool here to step clear, with City not catching up for a few weeks, with the added complication of an FA Cup semi-final too. It’s a good thing for Liverpool, I believe. 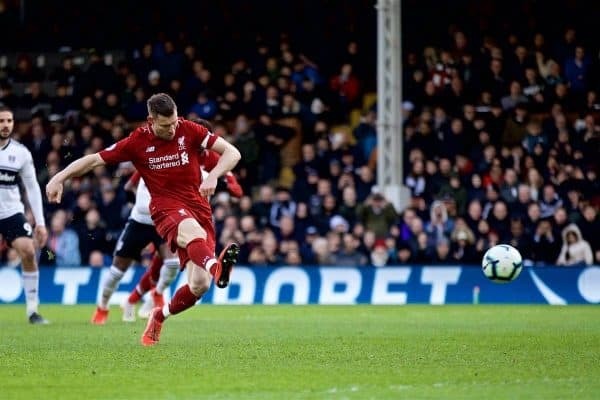 Dropped points at Craven Cottage could have been fatal but Liverpool dug deep and showcased their winning mentality once again, not least the nerveless Milner. While many expected Liverpool to cruise past 19th-placed Fulham, recent results after big European away matches show it was no great surprise. 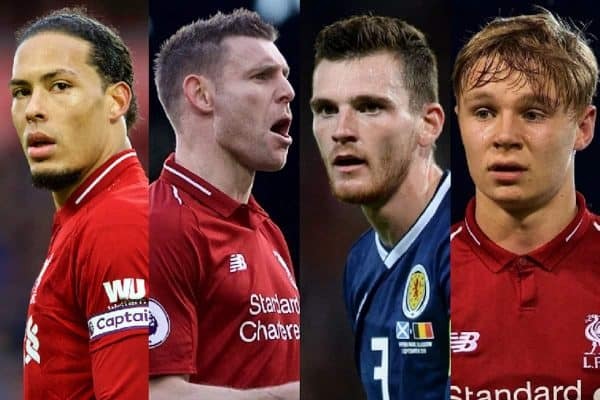 Highlighted by analyst Andrew Beasley in his column for the Liverpool Echo, the Reds have prevailed just four times in their last 18 attempts after being on their European travels in midweek, in the last 16 of a competition or later. That suggests fatigue arguably played a part against the Cottagers, with Liverpool never quite at their free-flowing best. Dropped points also occurred after the Champions League last-16 first leg at home to Bayern, with a frustrating 0-0 draw taking place away to United. 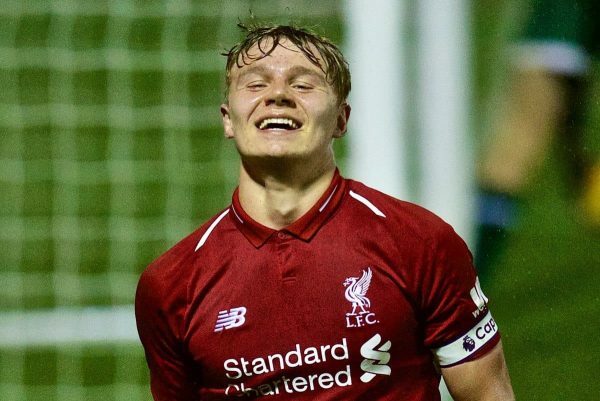 Paul Glatzel is enjoying a stunning season, captaining the Liverpool U18s to the FA Youth Cup final with two goals in Sunday’s 2-1 win over Watford, bringing his tally to 28 in all competitions. His aforementioned double at Anfield at the weekend was the latest show of brilliance from the striker, who was overjoyed after the game. “It’s an unbelievable feeling,” Glatzel told LiverpoolFC.com. “We’ve come here trying to get to the next round and we wanted to put in a performance for ourselves that we can be proud of and I think we have done that. “We played well and got the result, which is the main thing, and we have the Youth Cup final to look forward to. The young Reds will play either West Brom or Man City in the final, with their semi-final set for April 1.